The 2014 plant show season is almost here and I’ve already started to stock up on new stuff in the nursery. The place will be packed by the end of the month. 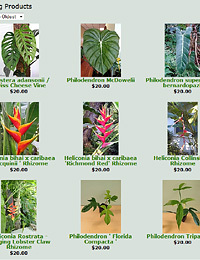 What’s more, I came back from the holidays to find a bunch of new blooms on the plants- see below for some photos. 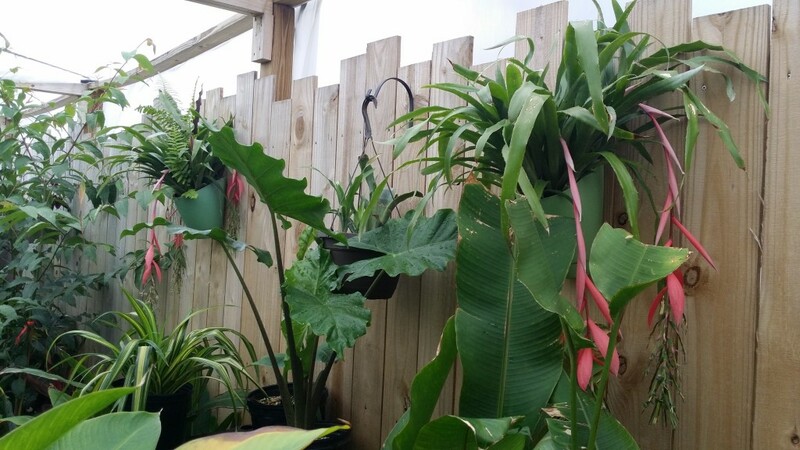 Heliconia latispatha ‘Red Yellow Gyro’ – this is a fantastic bloomer- pushing out bracts all year long.. even in the dead of winter- I came back from a holiday vacation to find this one..
Bilbergia Windii – another great bloomer. 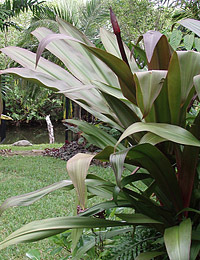 This bromeliad works great for hanging baskets or fitting into nooks in trees/rocks. The pink and blue blooms remind me of a heliconia. 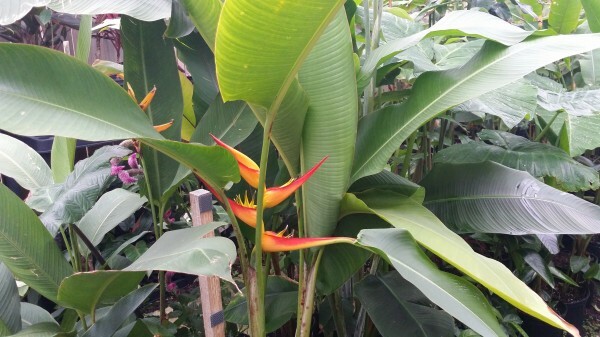 It likes full to part sun, and blooms many times a year. I discovered these had also bloomed when I returned from the holidays. Sanchezia speciosa ‘Zebra Plant’ Yet another one pushing out a bloom! 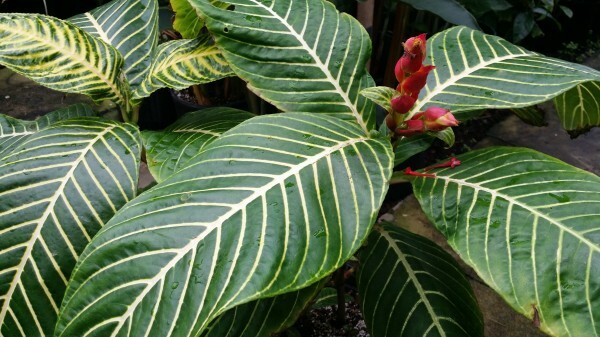 This plant has very cool looking leaves, but an even more eye-catching red bloom. Likes a partial sun and moist soil. 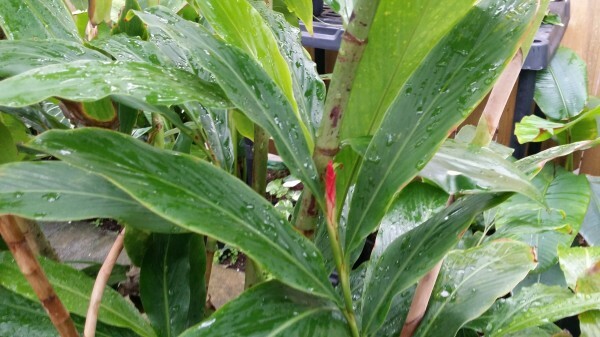 Red Alpinia Ginger – This one is just starting to make an appearance. The variety we carry is a shorter dwarf, so it blooms faster on smaller stalks. Exotica Tropicals is also loaded up with a great new selection of giant leaved elephant ear Alocasias. 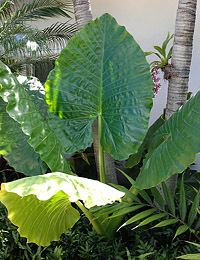 See here are Alocasia portora and Alocasia calidora, along with some Anthurium watermaliense in the lower right. Speaking of GROWING.. we recently scored with some nice 7 gallon Rainbow Eucalyptus trees. I kid you not, they grew 10 inches taller while I was away and they’re still going. 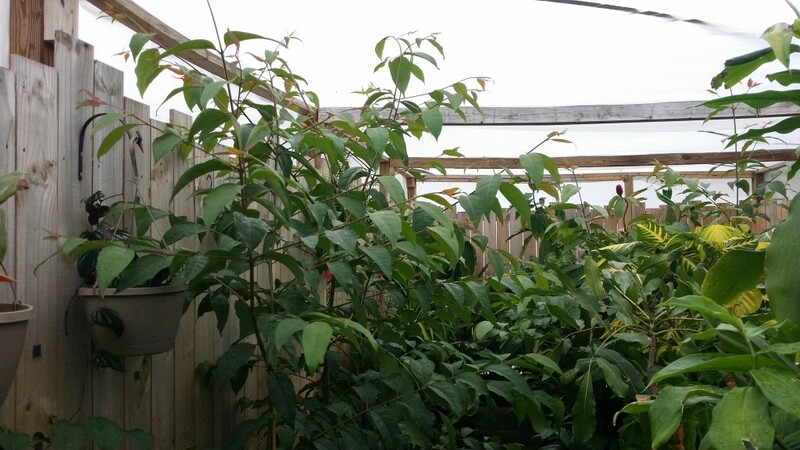 They are starting to hit the top of the greenhouse now! 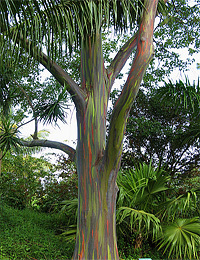 If you are interested in getting a Rainbow Eucalyptus this year, I always sell out quickly- especially with the larger ones, so stop by in January to grab one before the plant shows start up. 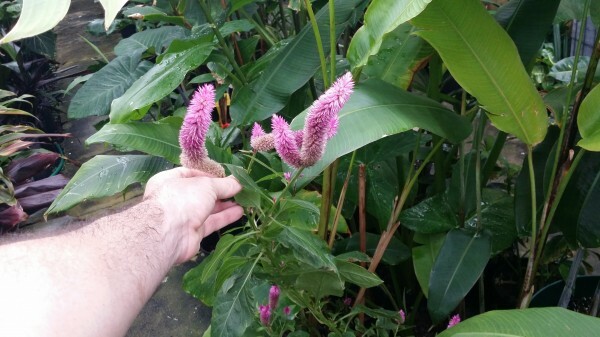 Here’s another great bloomer- Celosia caracas ‘Dark Caracas’ This one is always putting out new blooms. They are furry and bright purple! 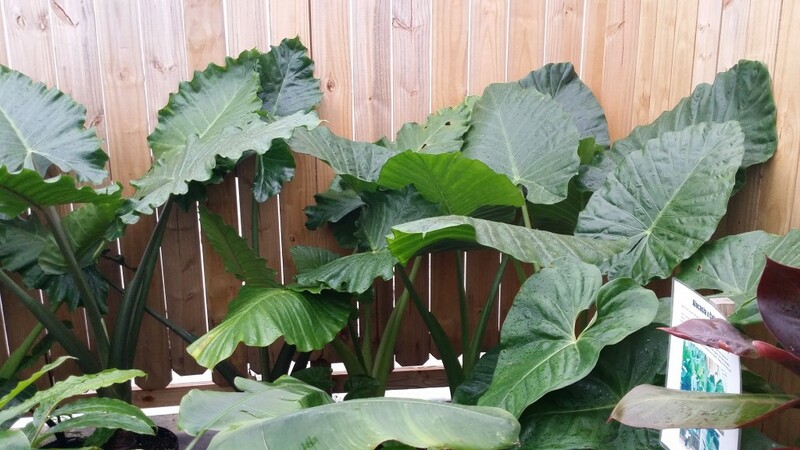 It loves moist soil and bright light.. can even take a full sun for part of the day. 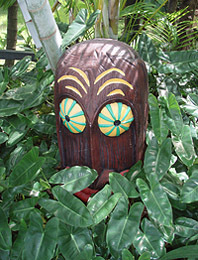 I pinch it back to keep it bushy, but you can also let it ramble for the natural look. A great one to slip in between other landscaping so the fuzzy flowers peek out.